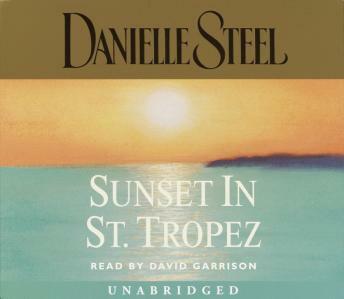 In her 55th bestselling novel, Danielle Steel explores the seasons of an extraordinary friendship, weaving the story of three couples, lifelong friends, for whom a month’s holiday in St. Tropez becomes a summer of change, revelation, secrets, surprises, and new beginnings . . .
As Diana Morrison laid the table for six at her elegant Central Park apartment, there was no warning of what was to come. Spending New Year’s Eve together was a sacred tradition for Diana, her husband of thirty-two years, Eric, and their best friends, Pascale and John Donnally and Anne and Robert Smith. The future looked rosy as the long-time friends sipped champagne and talked of renting a villa together in the South of France the following summer. But life had other plans . . .
Just two weeks after New Year’s, tragedy strikes the heart of their close circle, as Robert Smith suffers a sudden, unexpected loss. Without hesitation, Diana and Eric, Pascale and John rally to his side, united in their support, love, and shared grief. Convinced that a change of scenery is just what Robert needs, they urge him to join them on the Riviera in August. But as they soon discover, the ramshackle old mansion they rented in St. Tropez--sight unseen--is far different from the exquisite villa and sun-drenched gardens touted in the brochure. Cobwebs hang from the ceiling. Beds collapse beneath them. All while a would-be housekeeper in a leopard-skin bikini and six-inch heels sashays through the house with a trio of yapping poodles at her heels. But the biggest surprise of all is the woman Robert invites to the villa as his guest--a lovely, much-younger film actress with mile-long legs and a million-dollar smile. Diana and Pascale hate her on sight. But the men are dazzled. And amid the crumbling furniture and the glorious sunsets, the strained relationships and the acts of forgiveness, more surprises are in store for the villa’s occupants. With the last days of summer fast approaching, each couple finds themselves changing in unexpected ways, as old wounds are healed, new love discovered, and miracles unfold...all beneath the dazzling sun of St. Tropez. By turns wise and moving, heartbreaking and wickedly funny, Danielle Steel’s new novel is about forgiving without forgetting, about the sorrow that shadows our lives and the hope that saves us. And it is about once-in-a-lifetime friendships . . .the kind that heal, sustain, and change us forever. I loved this book. I was able to visualize and feel everything the 6 friends faced. The author let us go through the pain, jealousy and love that we all experience in any relationship. The fact that she did not glamorize nor idealize the situations faced by these "real" people was very refreshing. Nice story. Easy listen. This book explores many stages of life and friendship. It has something for everyone. The great thing about this story is that it explores feelings that we can all relate to: loss, sadness, joy, new love, etc. Depending upon your own life experiences, the reader may relate more to one character than the other. The reader can get so engrossed in the story that you may want to take sides with one character over the other and root for them to make the right decisions for their life. It was an enjoyable story. This was cute story and at times made me want to cry. Easy to listen to.